The agency behind the atomic clock wants to catalogue civilian ink. The biggest problem with getting a tattoo used to be that it could hurt your chances of landing a job, or at the very least, that it would create a heaping amount of guilt the next morning. But technology in development by the government has created a more modern problem: Your tattoo could be digitally recorded and used in a database against you. The National Institute of Standards and Technology (NIST) is the government body that, among other things, determines encryption standards and runs the much-beloved atomic clock. Now, it’s developing software to identify tattoos faster and more reliably using automation. Essentially, they’re trying to create algorithms similar to facial recognition programs, but for tattoos. Tattoos have long been used to identify suspects in a crime, but what NIST is aiming for goes much further, says Dave Maass, an investigative researcher at the Electronic Frontier Foundation. So if, say, Justin Bieber commits a crime and you have a tattoo similar to the “Sorry” singer, you might be sorry you opted for that treble clef behind your left ear. In this handout photo provided by the Miami Beach Police Department and released on March 4, 2014, singer Justin Bieber displays his tattoos for police documentation while in custody. “They want to be able to look at people who have similar tattoos that may have similar meaning, or similar group affiliation, and be able to figure out what connections they can build between people, or figure out what that might say about the person,” Maass adds. Some of this technology is already out there: One program, the Gang Graffiti Automatic Recognition and Interpretation (GARI) system, is a mobile app developed by the Department of Homeland Security and Purdue University designed to “identify and track gang activity […] by identifying both graffiti and tattoos.” Indianapolis cops, the Cook County Sheriff’s department, and 15 other police departments are already using GARI to track gangs, and a DHS presentation also suggest GARI could be used by Border Patrol agents in the future. The NIST research consists of two primary phases: the Tattoo Recognition Technology — Challenge (Tatt-C), and the Tattoo Recognition Technology — Evaluation (Tatt-E). In the first phase, NIST invited 19 organizations — including academic institutions and private companies — to use a dataset of about 15,000 images to “advance research and development into automated image-based tattoo recognition technology,” according to NIST’s website. That dataset, about 15,000 images, came from the FBI and consisted of pictures of tattoos on prisoners and inmates. On December 1, NIST launched Tatt-E, the next phase of its tattoo recognition research. The new dataset — which EFF estimates could grow to include 100,000 images — will now include pictures from some local and state law enforcement agencies. Crucially, says Maass, at least some of the new images will come from the booking process, that is, before a person is actually convicted of a crime. Making matters more troubling, the government has not exactly been forthcoming about this research. EFF discovered it through its work challenging other forms of government surveillance in court, like license plate readers, and biometric surveillance like iris scans and facial recognition software. Even now, the government hasn’t made public all 19 organizations that took part in Tatt-C. Even internally, the project appears to have questionable oversight. EFF also has concerns about what will eventually happen with the data that’s already been turned over. NIST’s position is that the research doesn’t violate prisoners’ privacy because the images have been stripped of identifiable information and anonymized. That argument is undercut, though, by NIST’s own argument that tattoos are personal biometric markings that can be used to identify a person. Already, one of the 19 participants, a German research group called the Fraunhofer Institute, scraped images from two public databases and compared those images against those collected by German police. It’s not hard to imagine how tattoos posted on Pinterest or Facebook could eventually be folded into NIST’s research, as a way to integrate facial and tattoo recognition with a social media profile. The possible implications and uses for law enforcement are troubling. 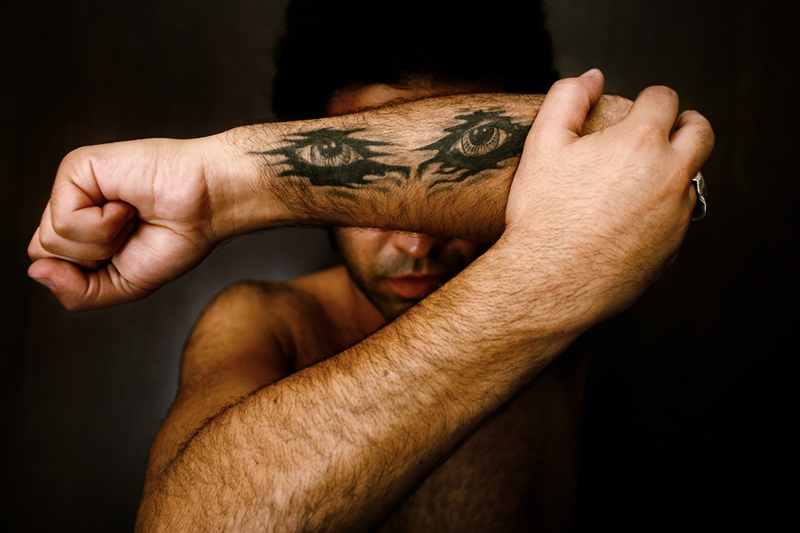 For one, tattoos often hold significant cultural and religious importance. Given the bigoted rhetoric that President-elect Donald Trump has put forward during the campaign, we should be wary about giving cops tools that could be used to exploit speech protected by the First Amendment during the course of a routine stop or criminal investigation. A symbol that, to a cop might look like a gang marking, might mean something completely different to the person with the tattoo. Another serious concern is that from what the public knows about facial recognition technology, automated license plate readers, and IMSI catchers (cell tower spoofers like Stingray technology), cops often use these tools with very little outside oversight. In some cases, prosecutors have misled judges to protect a law enforcement’s secret use of Stingray. It’s possible that police won’t use tattoo recognition software in a way that violates the first amendment, but the opportunity’s there. The surveillance industry was thrilled by a Trump victory. It sees a coming surge in federal dollars for defense, border security, homeland security, and possibly an increase in federal grants for counterterrorism initiatives. Security experts have already repeatedly said law enforcement is living through a “golden age of surveillance.” What NIST is looking to do will push the current capabilities into new and possibly unnerving levels of power.